Makeover & Dress Up Game with Elsa from the Disney Movie Frozen. Change Elsa'a look in a gentle and sophisticated way. Everybody loves the beautiful story about The Snow Queen Elsa of Arendelle. 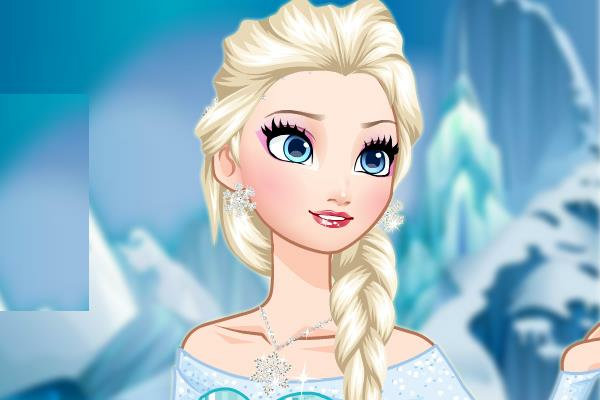 In this amazing makeover and dress up game you can give Elsa a new look. Elsa is a very beautiful girl with a slender figure and long blonde hair. You will love playing this fun game over and over again. It would be so fun playing this game and listen to Let it Go from the album Frozen at the same time.